As one of the most beautiful islands in Central America, Ambergris Caye is a top destination for travelers looking to relax in a scenic destination. The island of Ambergris Caye is located just north of the mainland, making it convenient and easily accessible for tourists. Although some visitors are more than happy to spend their time relaxing on the beach and enjoying the many amenities of the local accommodations, there are also plenty of great ways to spend your time on the island. Here are eight of the top things to do on Ambergris Caye, Belize. One of the most spectacular and truly unforgettable things to do on the island is to go swimming, snorkeling or scuba diving in Shark Ray Alley. This strip of ocean is famed for being home to a number of manta rays as well as sharks, and visitors can dive right into the water and see these harmless creatures in their natural habitat. Many tourists even touch these creatures underwater. Be sure to bring along an underwater camera for breathtaking photos. If your trip to Ambergris Caye is all about pampering, treat yourself to a spa treatment. There are more than a dozen spas on the island, many of which are located in hotels or resorts. Enjoy a massage outside on the beach, in your hotel suite or in luxurious treatment rooms within the spa itself. There is some incredible Mayan history on the island of Ambergris Caye, and the best way to explore this is to visit one or more of the ancient sites. In San Pedro, the ancient Mayan ruins are often empty and are a wonderful cultural attraction. Ambergris Caye is known around the world as a top diving destination. Although there are several wonderful sites in and around the island, the best is without a doubt the Hol Chan Marine Reserve. Experience scuba divers will love the bigger marine life in the area. However, even beginners can take lessons and enjoy partner dives with instructors within the reserve. In just under 30 minutes, visitors can travel from Ambergris Caye to the mainland and Belize City. This capital city is full of excitement. Travelers will especially love the Eco-Museum and the incredible architecture throughout the area. Ambergris Caye is world famous for its spiny lobster, so visitors who arrive during the lobster season should be sure to indulge in some of the buttery, delicious lobster available around the island. 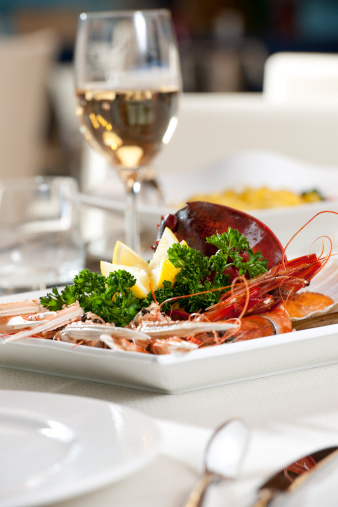 If possible, attend the annual Lobster Fest in San Pedro to taste some truly incredible dishes using local lobster. For a romantic and intimate evening with a loved one, rent a boat from one of the many piers along the beach of Ambergris Caye and enjoy a private sunset cruise. Bring along a few drinks and watch the sun disappear into the horizon in one of the most beautiful destinations in the entire world. Fishing enthusiasts will love the plentiful opportunities for fishing in Ambergris Caye. While you can simply cast from the beach, it can be a lot more fun to head out to sea. Join a boat full of local anglers to get the best tips on where to fish and what bait to use to catch the sailfish, snapper and grouper out at sea. Each of these eight things to do on Ambergris Caye is a wonderful way to spend your vacation on the island.